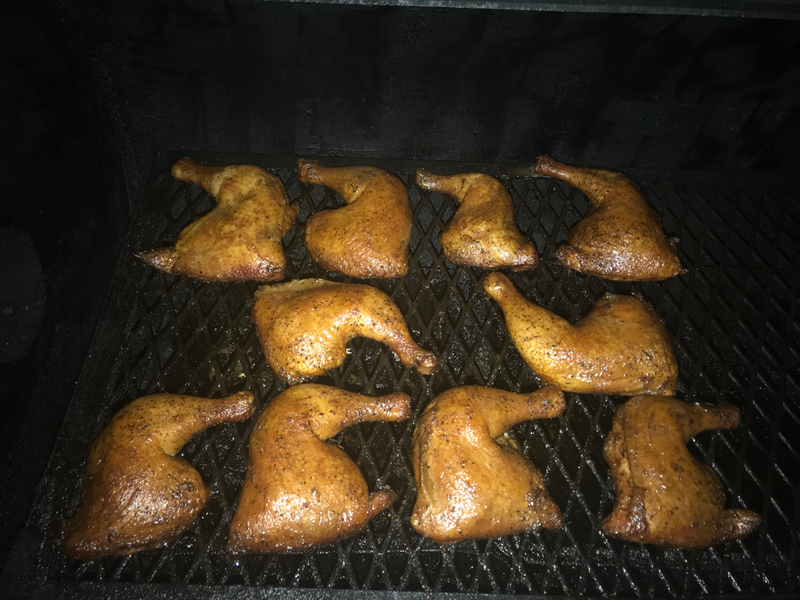 Some pics of the chicken quarters I smoked yesterday. Good color on that next-to-last shot. I've been craving a mess of chicken. You've got me inspired to do some quarters!